Student Show at Imagine Museum! For more information, please email Alexandra Weyer at aweyer@imaginemuseum.com. Call us at 727-300-1700 ext. 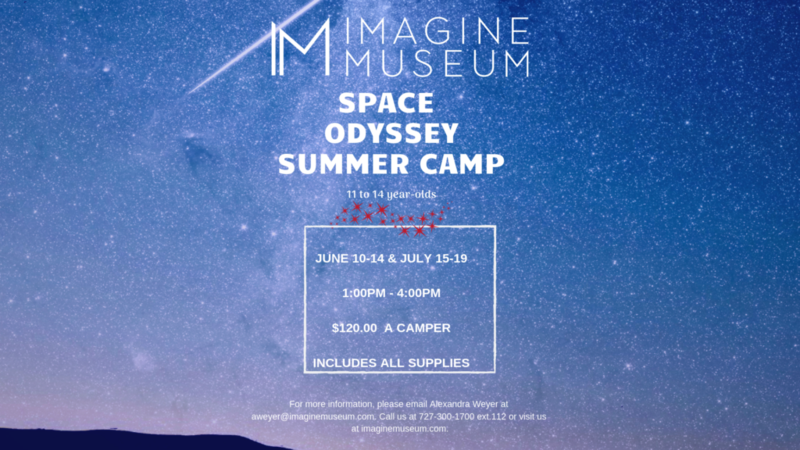 112 or register online at http://bit.ly/SpaceOdysseySummerCamp.